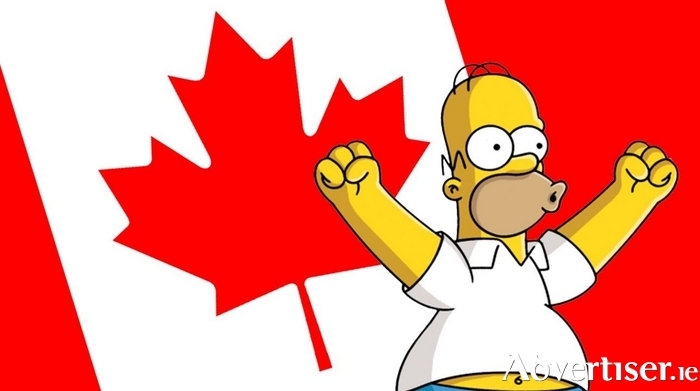 Homer is delighted that Canadian comics will be coming to Galway for the Vodafone Comedy Carnival. FANS OF great stand-up will get a chance to expand their comedy horizons at this year’s Vodafone Comedy Carnival, for while the line-up is predominantly Irish or UK based, there is a huge contingent of US and Canadian comics making the trip to Galway this year. Some of the finest comic minds and seminal comedic performers have come from North America - just think how much George Carlin, Lenny Bruce, Bill Hicks, and Richard Pryor have influenced modern comedy and comedians. This year, that legacy is reflected in the selection of folk flying in to Galway from the US, including Comedy Central’s first spokesperson, Tom Rhodes; and magnificent and playfully filthy wedding band, The Dan Band; legendary Whose Line is it Anyway? star, Brad Sherwood will be rocking up; and comedian, author, musician, actor, producer, director, editor ,and television writer, Joe DeRosa from Better Call Saul completes the US team. Their Canadian cousins have also put out a winning team with Galway favourite, and one of the world’s most subversive comedians, Glen Wool lined up for several gigs. Probably the world’s finest improvisational talent, Colin Mochrie is jetting in for several never to be repeated gigs - including what should be two terrific evenings of made up fun with Brad Sherwood. The Canadian contingent is completed by one of the coolest comics on the planet, Tom Stade, star of Live at the Apollo, The John Bishop Show, and Michael McIntyre’s Comedy Roadshow. See the stars of Whose Line Is It Anyway?